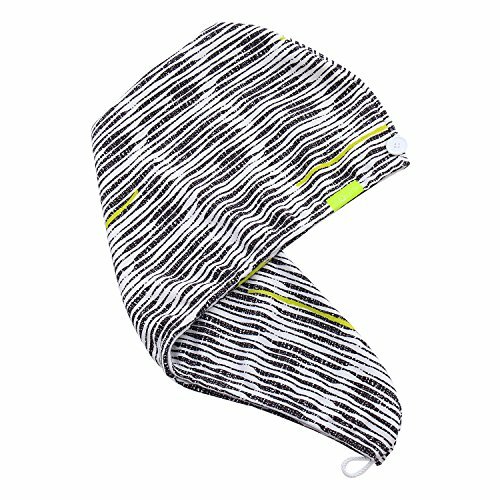 INNOVATIVE TECHNOLOGY: Made from Aquitex microfiber, hands-free solution engineered to correctly dry hair from wet to damp, quickly, evenly, gently and without heat. 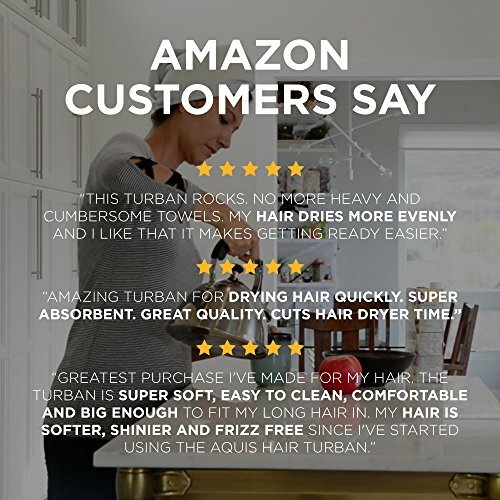 SUPERIOR DRYING: Our innovative microfiber is designed to wick water away faster than a cotton towel, gently drying your hair more quickly, more thoroughly, and more gently than conventional cotton terry or the harmful heat of blow dryers. Turban dries rapidly between uses. SOFT & SUPPLE: The supple microfibers are super gentle on your hair, even with regular use. 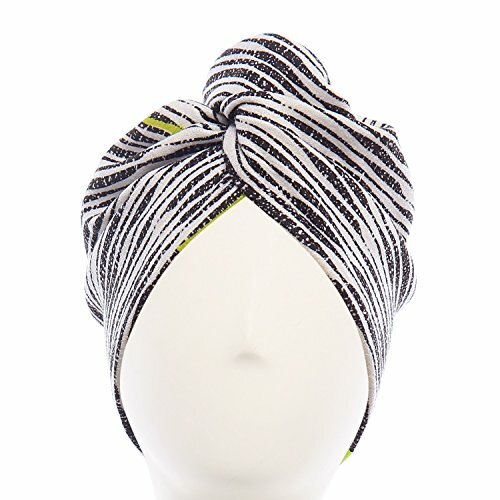 Our convenient, first-to-market turban design keeps hair comfortably and securely in place, freeing your hands so you can get ready for the day. Super ultra-lightweight too! GREAT FOR FINE, DELICATE HAIR: The first rule of hair drying is do no harm. 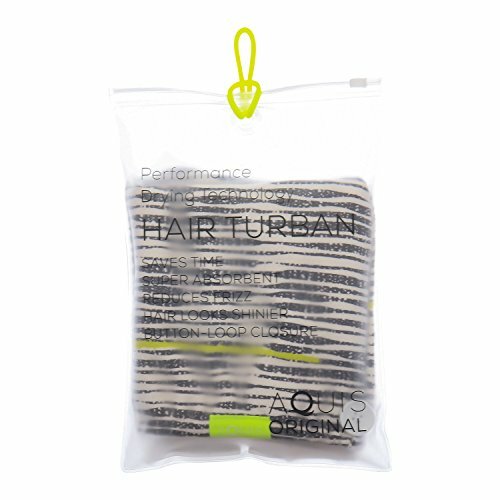 Our Original Hair Turbans are ultra-gentle, making them perfect for hair that is curly, fine, delicate and/or thinning. BENEFITS: Hair looks smoother and shinier. Hair is less frizzy & styles better. Lightweight and hands free drying. 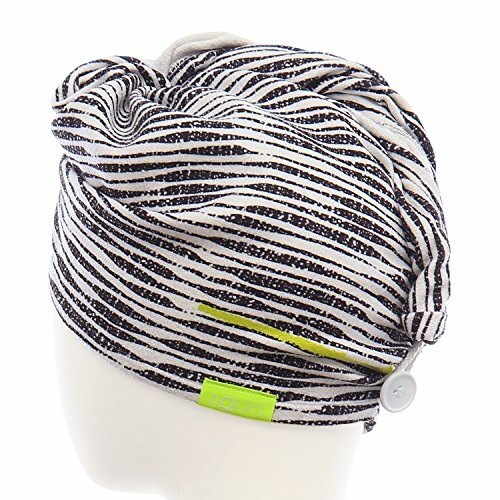 Button loop closure makes it super easy to secure and fits snugly on your head. 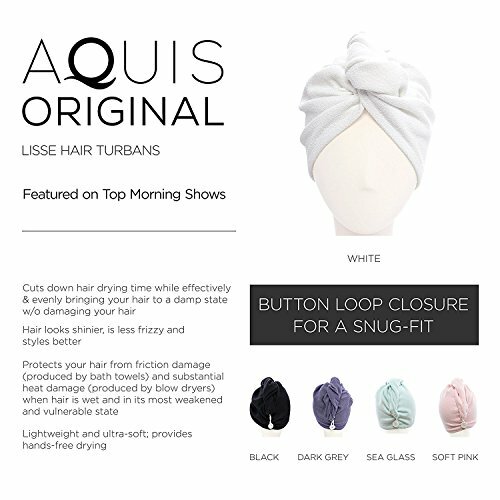 Aquis Original Lisse Hair Turbans wick water away from hair faster than a regular cotton towel, bringing your hair to a damp state without damaging it. They not only save you time, but also minimize the damage caused by friction from bath towels and substantial heat damage from blow dryers.